Purple colour 36mm Polyester Binding delivering excellent UV resistance. 100m roll. This 36mm Polyester Binding has excellent UV resistance and is ideal for horse rugs as well as other hard wearing outdoor applications. 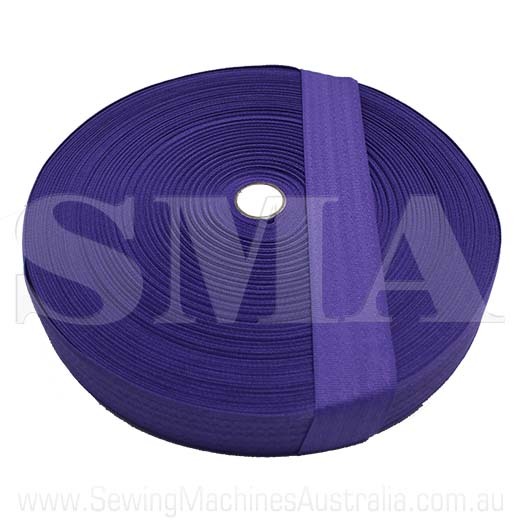 Sewing Machines Australia (SMA) have this popular binding available to buy online and you can choose from 7 different colours.